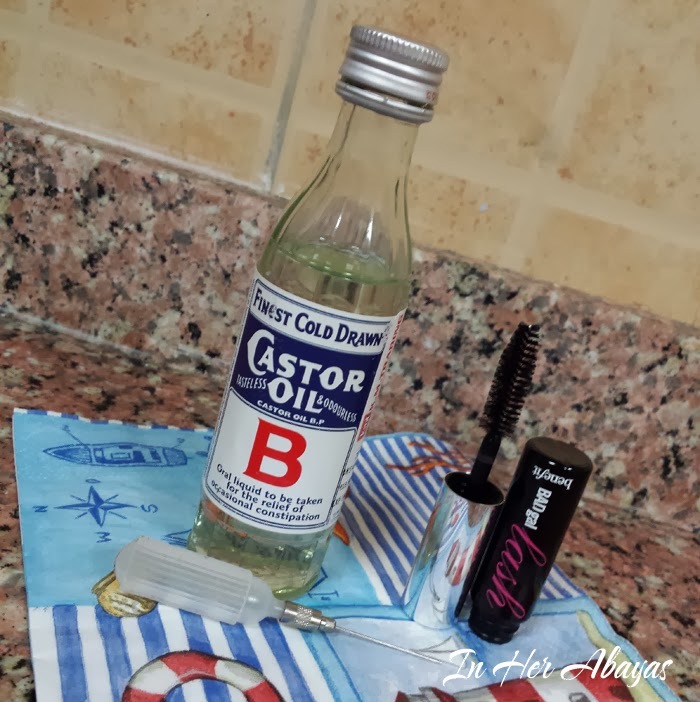 Simple Real Mom: How to grow your eyelashes thicker . Castor oil has the amazing ability to deeply penetrate the skin and nourish the hair follicles . It is also very high in omega 9 fatty acids , which are great to both the hair and the follicle. Castor oil is very rich in ricinoleic acid , a very effective natural anti-bacterial agent that help keep any fungus or bacteria from inhibiting hair growth. 1- buy some castor oil : Make sure you got the cold draw/pressed one because it's the purest . 3- fill the tube with your castor oil using a syringe or a pipette . 4-aplly it on your lashes / eyebrows every night before bed . and let it do it's magic ! you'll be amazed by the result , i know i was ! i hope you like this quick tip and that you'll give it a try ! do you have any other recipes or products that can help grow eyelashes thicker ? please share it with us !